WASHINGTON -- The Polish government has received a proposal from the team developing the Medium Extended Air Defense System (MEADS) that includes the production of 16 systems with plans to share the work with Polish industry. The MEADS International proposal -- submitted at the request of the Polish government on Monday for its "Wisla" program -- officially puts Raytheon and Lockheed Martin back into a head-to-head competition to provide the country the air-and-missile defense solution it's been pursuing for roughly four years. "MEADS represents the most affordable and the quickest path to the capabilities Poland requires," a statement issued Tuesday by the industry team states. Initially in the running for the Wisla program were Raytheon's Patriot, the MEADS system, Israel's David's Sling and an offering from a French consortium. However, in an effort to buy something more quickly, Poland eliminated the developmental systems – MEADS and David's Sling – from the competition. Poland has gone back and forth with its procurement decision since it expedited its plans to buy a new AMD system several years ago due to fears of Russian aggression in the region. And as time has passed, the MEADS system is closer to moving from a developmental program to a fielded system. Germany is expected to finalize a contract to proceed in developing and building MEADS in 2017, preferably -- for the MEADS team -- before an election in the country could complicate the deal. The US, Italy and Germany originally held a tri-national agreement to develop and field MEADS. The US canceled the program following substantial investment. Germany has picked up the torch and is expected to be the first to field the system. In 2015, Poland announced it would procure two, but up to eight, Patriot systems, but an election in November upended those plans as the new government opted to reconsider recent acquisition decisions to include Wisla. While it appeared Poland had finally made a decision to procure two Patriot batteries in September 2016 when Polish Defense Minister Antoni Macierewicz announced he had formally authorized a letter of request for information be sent to the US government to buy Patriot, the ministry of defense indicated shortly thereafter that nothing had been decided. The request specified that Poland wanted the first two Patriots it would purchase to have Northrop Grumman’s not-yet-fielded Integrated Battle Command System (IBCS) included and the following six Patriots would have a new 360-degree radar. The Polish government has said it wanted the first two Patriot batteries by 2019 and all eight by 2026. But adding IBCS to the mix complicates that timeline because IBCS isn't expected to reach initial operational capability for the US Army until at least 2019 and is said to be delayed. Shortly after Macierewicz's announcement on Patriot, it surfaced that Poland had also sent a letter of request for information to the Pentagon on a possible MEADS procurement it had previously rejected. Lockheed announced at the same time that it was partnering with Poland’s leading state-run defense group PGZ to develop an offering for the Wisla competition. PGZ also signed an agreement with Raytheon in July 2016 to develop missile defense technology, and Raytheon has offered a workshare plan that is said to meet the Polish government’s requirements as well. On the table now is the option to buy Patriot and Northrop Grumman’s IBCS through a foreign military sale and later develop a system based on Patriot that meets all of the country’s requirements or buy MEADS through a hybrid sale, which means some elements would be purchased as FMS and some elements would be sold commercially. The MEADS International proposal offers 16 fire units with the first to be delivered within 50 months, according to Marty Coyne, Lockheed’s MEADS director. The system -- like Germany’s -- will have an open architecture and 360-degree capability and will be highly mobile. 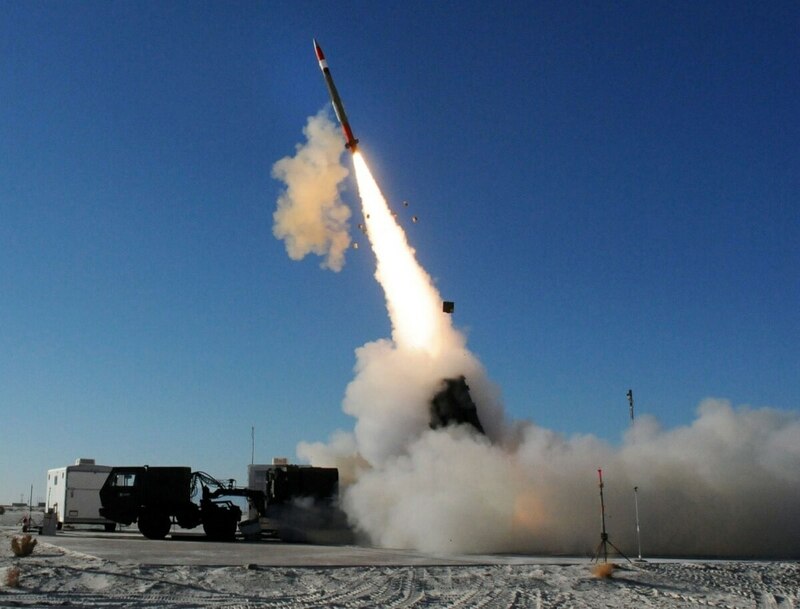 The offer includes Lockheed Martin-made Patriot Advanced Capability-3 Missile Segment Enhanced (PAC-3 MSE) missiles that would be provided through a foreign military sale. The proposal would establish a PAC-3 final-assembly facility in Poland that would not only service Poland’s missiles but ones belonging to other countries, according to Coyne. And the proposal includes a "significant role" for Polish industry -- 40 percent of the workshare -- from the beginning, Coyne said. Part of the plan is to use capabilities already developed by Polish industry such as a major surveillance-radar program that can be incorporated into MEADS and would be complementary to the MEADS sensor, Coyne noted. Polish industry and MEADS International will also design a new missile in Poland that will help grow the country’s missile industry. Additionally, the MEADS team proposed a path to bring Gallium Nitride (GaN) technology to Poland that could lead to the establishment of a foundry in the country. GaN is a semiconductor material seen as a performance game changer in radars. Raytheon has its own foundry in Massachusetts and has created a next-gen GaN Active Electronically Scanned Array (AESA) radar for its next-generation Patriot. It is also authorized to sell GaN abroad. Italian company Leonardo, a MEADS partner, would be able to transfer GaN technology to Poland, Coyne noted. A systems-integration laboratory would also be established in Warsaw in order to grow capability and design future upgrades for the system as part of the MEADS proposal. Coyne said the proposal’s price tag fell within the country’s budget for the Wisla program and takes advantage of $4 billion previously invested in the system by the US, Germany and Italy. Based on discussions with the Polish government over the past year, as the MEADS team prepared its proposal, Coyne said that Poland has indicated it wants to make a decision on the way forward for the Wisla program in 2017.